Fabric. Width-46 cm, Length-83 cm, Sleeve length-42 cm. Blouse of a rough black material with a slight shine. 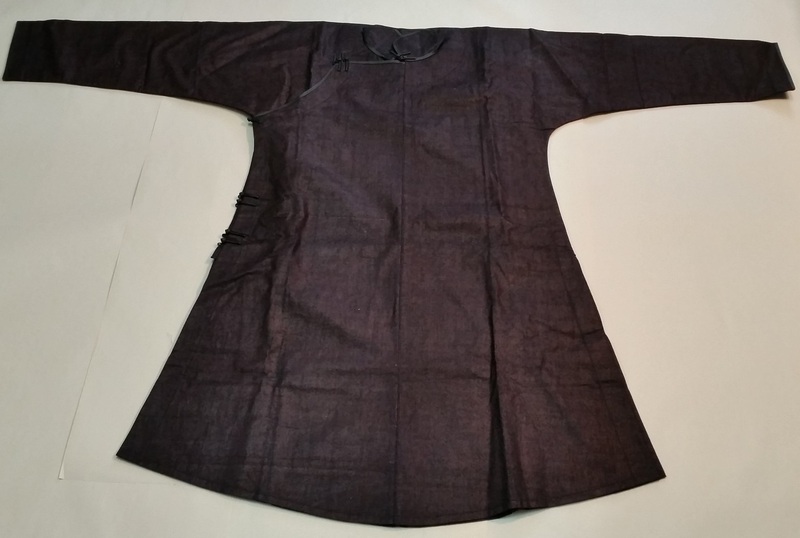 The blouse is long in a Chinese-style with a high collar of 6cm. Diagonal side closure with small frog closures. Slit on side 32.5cm. Inner side lining spans 24cm inwards and 47 cm in length from shoulder. Inner lining has a blue pocket. Goes with pants CVM 012.80.5.